When it concerns his music career, Compton, California rapper Kendrick Lamar revealed that he has no plans on adding a time limit to it. Kendrick was asked about possible rap retirement during an interview on The Madd Hatta Morning Show this week. After stating that he doesn’t want to put a time on anything, the TDE lyricist then named Jay Z, Dr. Dre, and Snoop Dogg as artists who may have attempted to retire from music, but ultimately found their way back. K-Dot was also asked to name one book that changed something about him. In response to the question, he named “The Autobiography Of Malcolm X.” He said the book played a role in helping him communicate with people from different walks of life. 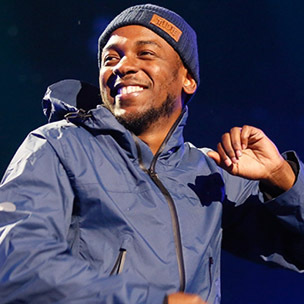 During his interview with The Madd Hatta Morning Show, Kendrick also discussed his upcoming appearance on “Saturday Night Live,” his favorite eateries in Los Angeles, and more.